A Chesterfield is a traditional English leather sofa. Such furniture is nowadays mainly produced and distributed by a young Dutch company, which consequently gave the name The Chesterfield Brand. The company also uses the resulting expertise in tanning and processing leather for handy leather goods such as backpacks or bracelets. Internationally, the brand is first and foremost known when it comes to a business bag or a leather bag for men in vintage look. In fact, it also offers sports bags and women's bags. A The Chesterfield Brand bag is as sturdy as stylish and will delight you for years to come with its practical details. In our LEATHER ONLINE SHOP we show you some models of the brand, which convince by a particularly well-thought-out design. You can order these conveniently or visit one of our branches (in Vienna or Baden) and buy them as a favor. Each Chesterfield Brand bag is reminiscent of Chesterfield sofas for its quality. The best materials are used to make products that are independent of short-lived fashion trends. Rather, the cozy retro style that embody the leather bags, is always hip. The business bags and everyday companions look classy and help you in the useful inner compartments to transport everything you want to take with you. If you have any questions about the advantages of these bags or for a specific model selection, feel free to contact our staff. 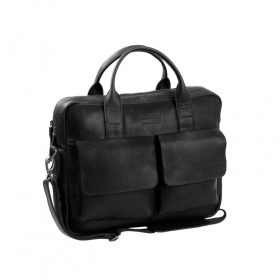 The Chesterfield Brand also offers shoulder bags, business bags with laptop compartment, backpacks and shoulder bags. All sub-types of bags are available for men and women. Each bag is unique, which you can quickly win, because it is a reliable side and it always looks good. The subtle leather grain contributes to this. The genuine leather bags will become softer and smoother over time. If you buy a leather bag now, this is a purchase that will pay off for a long time. Typical features of the Chesterfield bags are the distinctive metal buckles and the embossed Union Jack. Whether you are looking for a leather bag for men or a shoulder bag for women, at Lederwaren Weidner you get a variety of carefully selected models. They are all high-quality processed and meet high standards. The bags from The Chesterfield Brand have already thrilled many people worldwide. Thanks to our comfortable shop, you too can soon become satisfied owners of such a luxurious leather bag. We are happy to advise you in the product selection - by phone or in a branch - and to questions of leather care. Chesterfield bags are made from the finest pull-up leather known for its very soft structure. Thanks to a special wax treatment they look like new for a long time. Traces of wear can be easily removed with white leather wax. Although a The Chesterfield Brand bag looks like the wedding of the British Empire, but functional enough to meet the demands of today's living and working world. For example, a business bag from the Chesterfield brand not only scores with its elegant appearance. It is also sold in different sizes. If you are interested, you might want to buy a bag that fits a 15 "laptop with many documents.The typical office bag and some casual models have a shoulder strap that is adjustable and detachable in length, and The Chesterfield Brand has its own Tannery with attached production hall so that all manufacturing steps are under the same management, allowing management to respond quickly to customer needs and changing trends, ensuring easy quality control that benefits you as a customer. The brand The Chesterfield Brand belongs to a young company that relies on proven design and excellent material. A The Chesterfield Brand bag can be a casual briefcase, a women's weekender, a stylish shopper or even a roomy trolley. 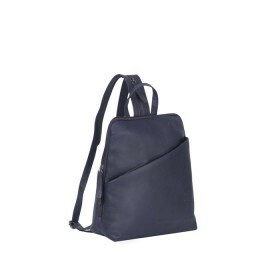 In addition, there are practical backpacks and sophisticated accessories made of leather, which enchant with a specific vintage look. Mostly the colors brown, black and cognac are used, which convince people all over the world for many years. If you are still unsure which specific model you would like to buy, you can use our online comparison to clearly compare the characteristics of individual bags. It is also possible to save in the wish list. You can access this yourself or your friends and family later - so it is also suitable as a virtual gift table. A leather bag for men is rightly a popular accessory for decades. A model by The Chesterfield Brand combines style and functionality in a successful way. For example, the spacious briefcases have multiple inner compartments so you can sort your documents well. In addition to men who are looking for elegant bags for work, women are also a target group of the Dutch company. Among other things, you can buy laptop bags in different sizes. In addition to the notebook fit there writing materials, wallet, cell phone and the like. This is mainly due to the smaller, front-mounted compartments. For the holidays or the city stroll, the small shoulder bags made of leather are recommended. Whether you are looking for luggage, a new handbag or a neat business bag - you can buy a leather bag in a safe and comfortable way. Our various payment options, the real-time availability display and other service offers ensure a smooth flow. Our modern designed webshop is always open for you and shows interesting collections of exciting designer brands. You can be sure that every bag offers excellent wearing comfort and is of high quality. After all, bags are not only a pretty accessory, but should accompany you with their practical details through the world of work and beautiful leisure hours. The bags of The Chesterfield Brand are especially for fans of a no frills design, simple straightforwardness and a pinch of nostalgia. See what The Chesterfield Brand bags are for!